The Studio is for subtitling movies or songs. Karaoke style is also possible (highlighting syllables), you can also watch subtitles with a movie or a song. 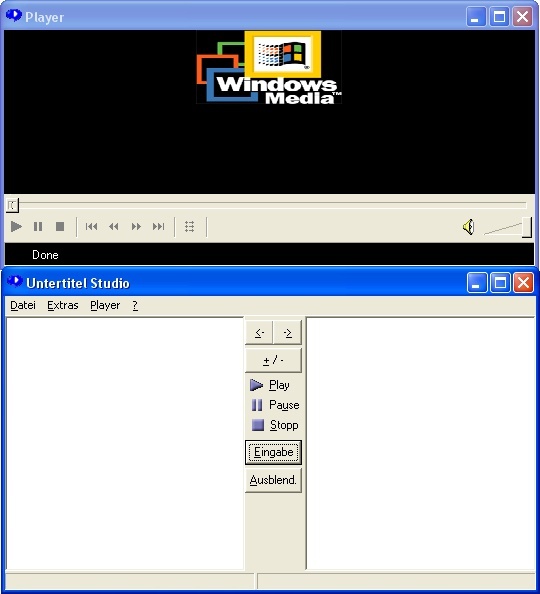 This programs can handle SAMI, SubRip, MicroDVD and SubViewer format.